(depending on filling volume, product properties, and capacity utilisation of the machine). 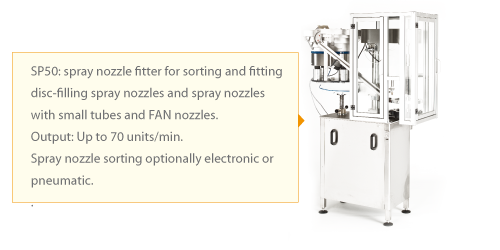 for sorting and fitting disc-filling spray nozzles and spray nozzles with small tubes and FAN nozzles. 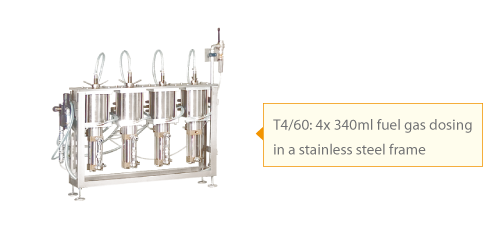 Output: Up to 70 units/min. 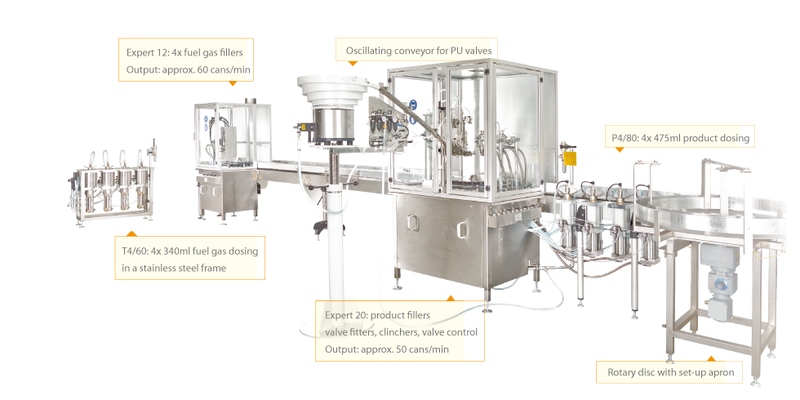 Spray nozzle sorting optionally electronic or pneumatic.